Just a little music game news today, first off with Konami’s latest release in Japan, Pop N’ Music 18. If you are curious about this one, Bemanistyle.com has a song list and some screenshots for the game. Any arcades outside of Japan planning on importing this one? 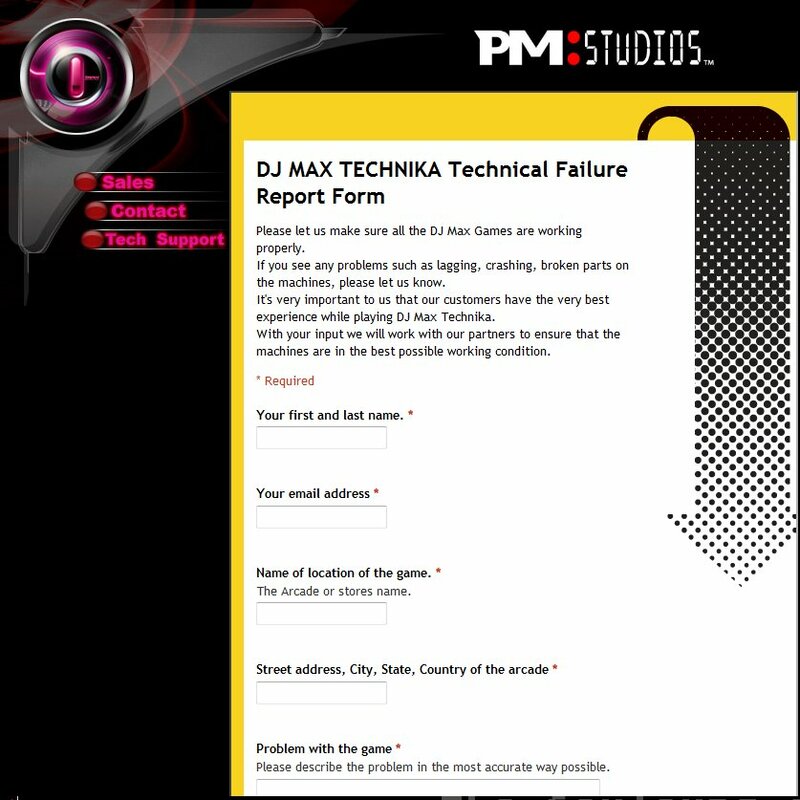 In other music game news, PM Studios made an interesting move on their website by setting up a “Technical Failure Report Form” for DJ Max Technika. The idea is that players can use it to inform PM Studios of a DJMT machine that is broken in some way at a particular location. PM Studios will then contact that arcade and see what they can do to help them get it fixed. It’s certainly a nice way of making sure that the machine stays in top condition. I know that there are times where I overlook a problem with one of my games as I don’t always have time to play through every machine to see what works and what doesn’t. But where the players find out first hand, who better to report issues? Of course it would help if players would tell the arcade operator directly about problems – I have seen many times where someone is obviously having some sort of problem but they won’t come to me about it so I go to them to find out what is going on. But there are times where I am not there and an issue goes unreported for a while. So thumbs up to PM Studios for this idea, hopefully it will make sure to keep issues with their game down to a minimum. This entry was posted on January 21, 2010 at 5:45 pm and is filed under Arcade Games. You can subscribe via RSS 2.0 feed to this post's comments.